Home » »Unlabelled » No more yellow teeth? Then try this hack! It actually works! Teeth are like your business card. Often your smile that leaves the first impression behind. And when you flash your pearly whites, it definitely has a positive effect. but unfortunately, life is full of pitfalls, and products like coffee, nicotine, and candy aren’t your teeth’s best friends. 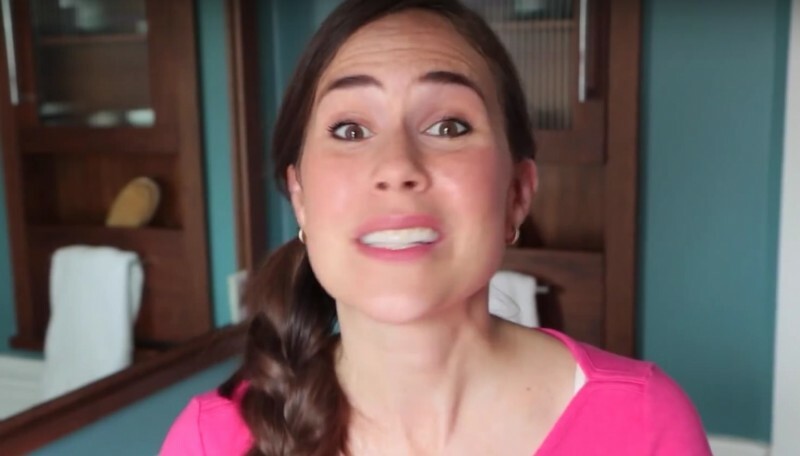 But there is a simple and completely natural trick that will make your teeth sparkle again, even if the coal-black glop looks repulsing. 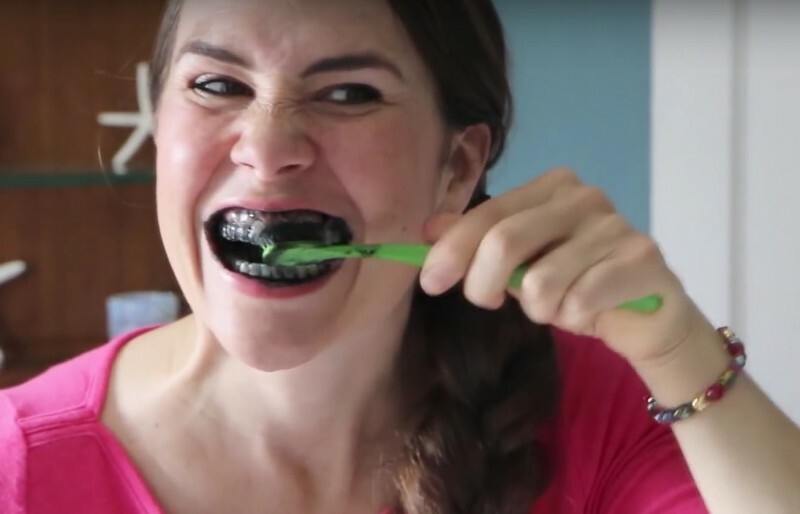 All you need: A toothbrush (just for this trick) and some activated charcoal capsules. 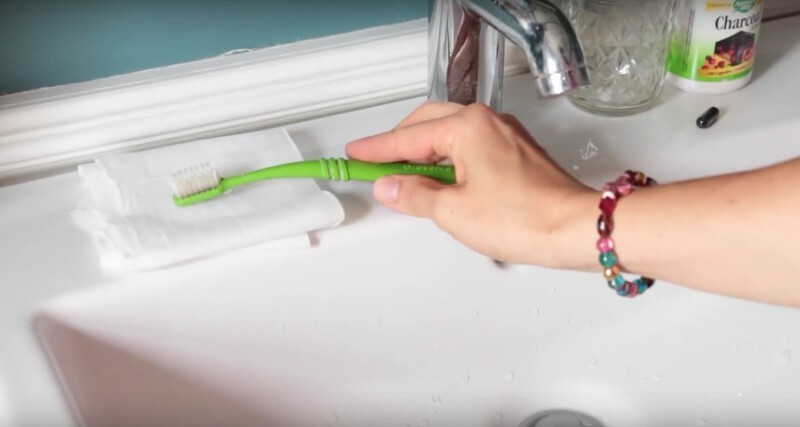 First wet your toothbrush with some normal tap water. Then take the capsules, carefully open them up in the middle and shake the innards gently onto your toothbrush. Keep the mess in check by laying a paper towel underneath! Then it’s scrubbing time! Do it like you normally do: brush in circles and don’t forget to brush the back of your teeth. It can be a bit powdery at first, but only for a bit. 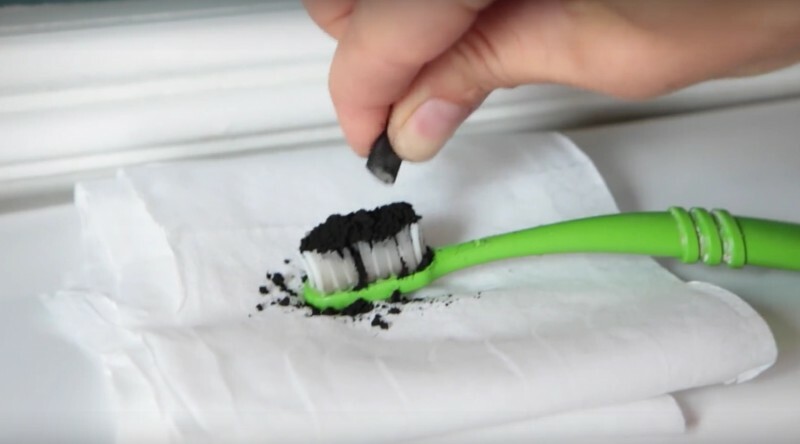 If you want, plop on a blob of normal toothpaste on top of the charcoal. And after 3 to 4 minutes, rinse generously with water - and look: teeth as brilliant as an April morning! The feeling is simply fantastic. Try it out! Forget all the overpriced, and often unhealthy, toothpaste or whitening agents. People who value natural body maintenance and want white teeth swear by the very special abilities of active charcoal. When you use this trick once a week, you’ll see great results after just a month. And feel it too.